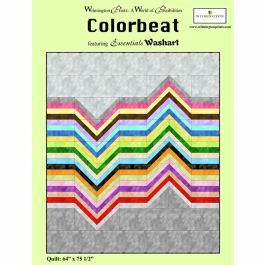 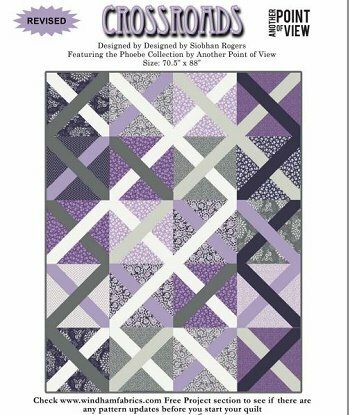 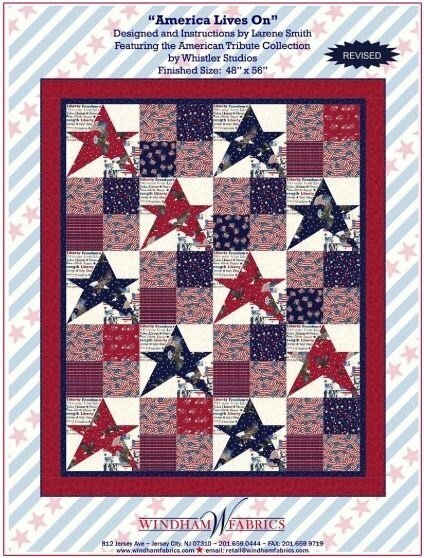 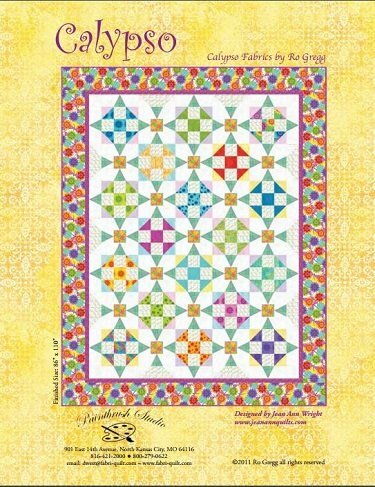 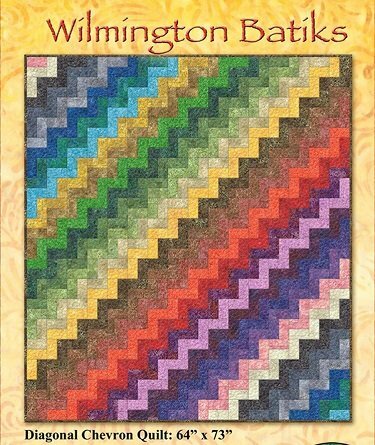 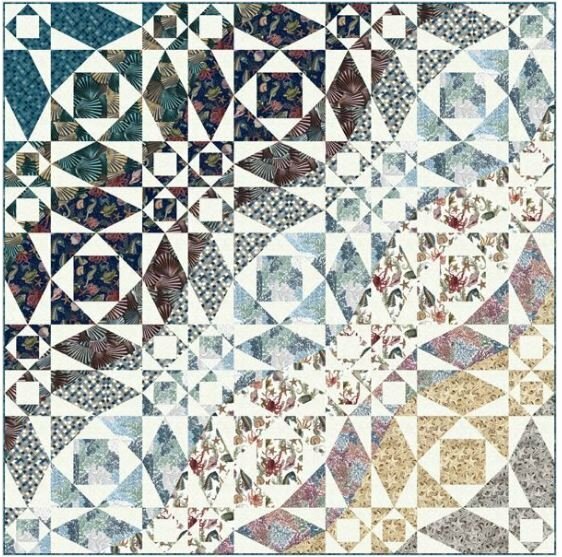 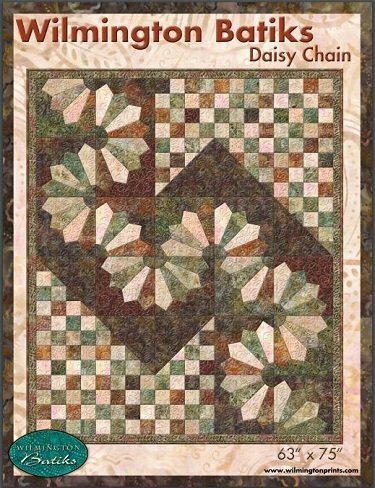 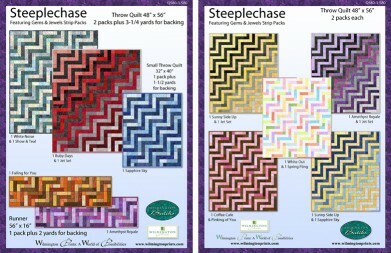 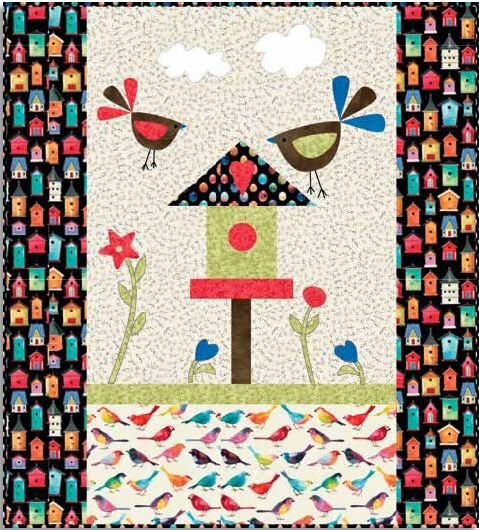 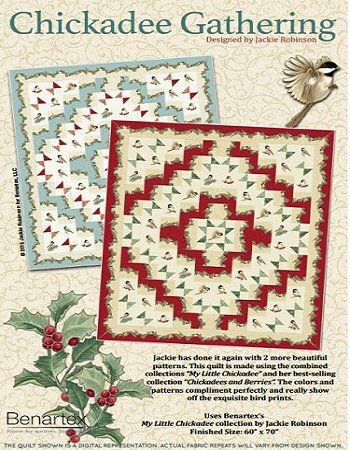 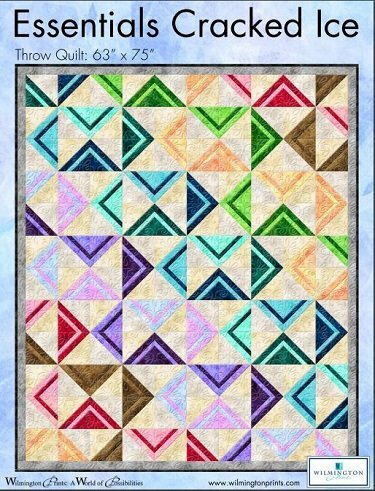 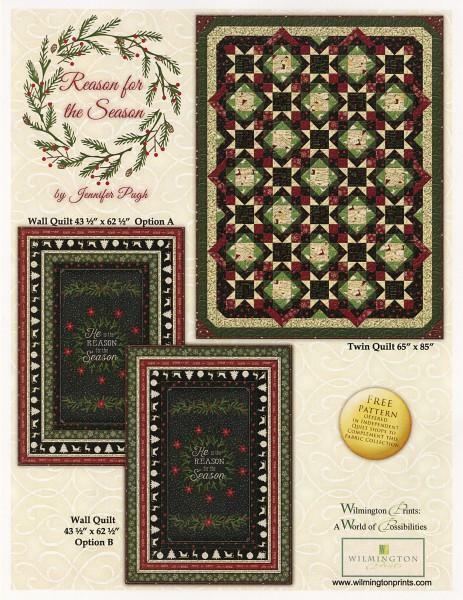 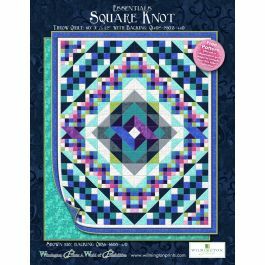 Cracked Ice Pattern uses Essentials by Wilmington Prints. 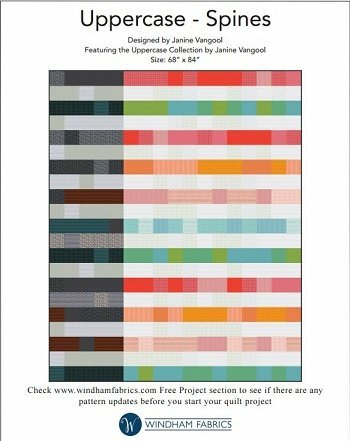 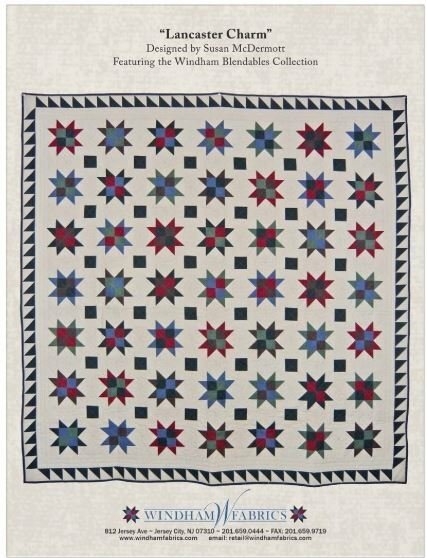 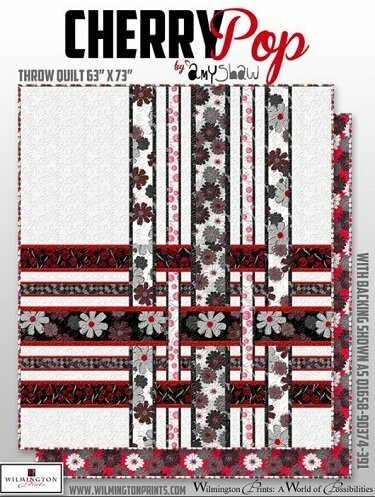 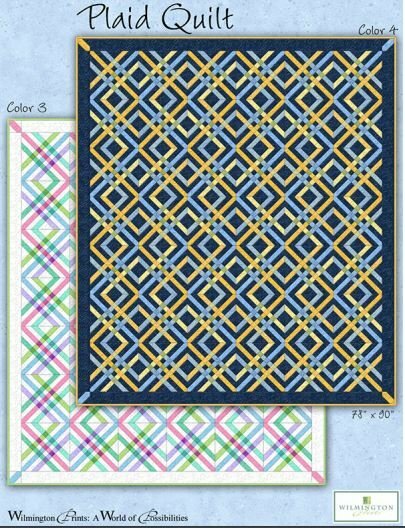 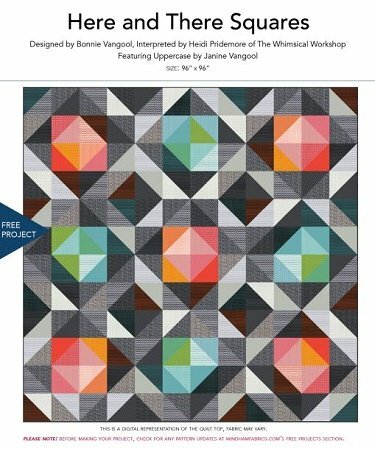 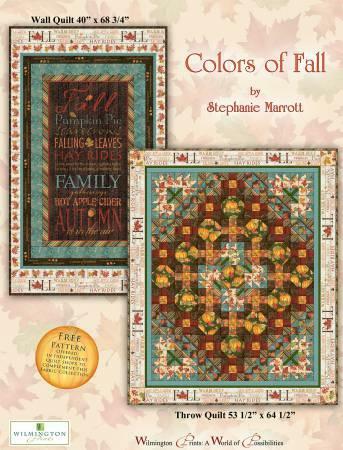 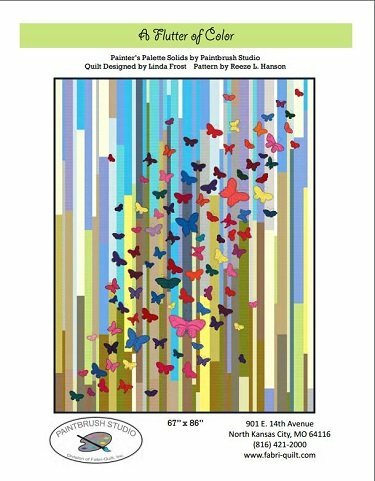 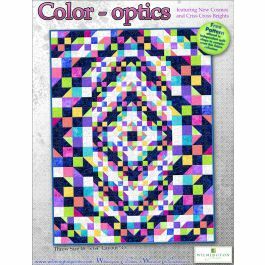 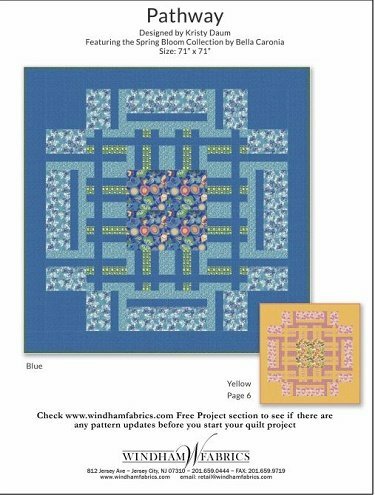 This throw quilt or twin coverlet uses all 20 colors in a layout that suggests cracked colors and fractured blocks. 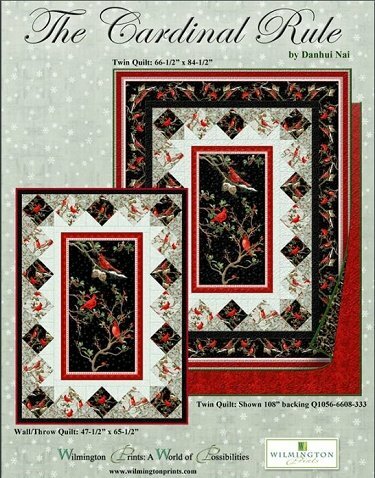 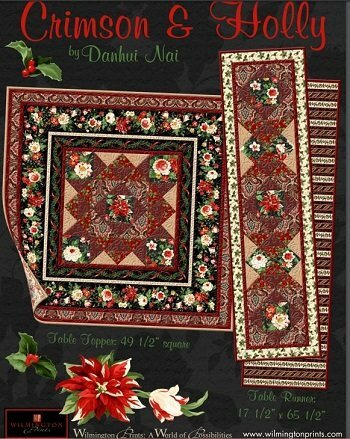 Crimson & Holly by Danhui Nai for Wilmington Prints 2 Projects- A medallion-sylel table topper and a table runner both with fussy-cut flowers. 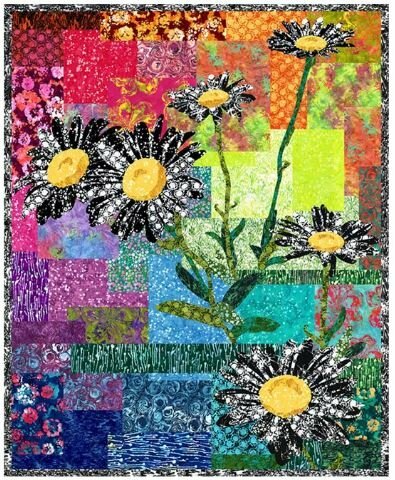 Crossroads Designed by Siobhan Rogers Featuring the Phoebe Collection by Another Point of View Size 70.5" x 88"
Daisy Chain a unique scrappy batik quilt design with meandering Dresden Fan blocks and 16-patches. 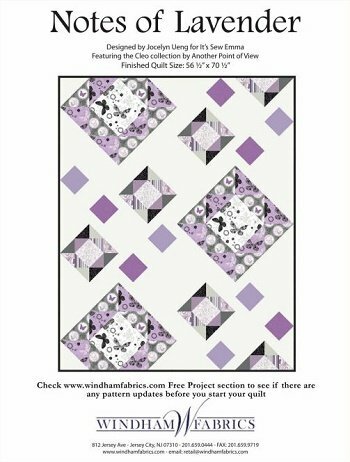 Here & There Squares By Bonnie Vangool Interpreted by Heidi Pridemore of The Wimsical Workshop Reaturing Uppercase by Janine Vangool Size: 96" x 96"
Notes of Lavender Designed by Jocelyn Ueng for It's Sew Emma featuring the Cleo Collection by Another Point of View Size: 50.5" x 70.5"
Uppercase - Spines Designed by Janine Vangool Featuring the Uppercase Collection by janine Vangool Size: 68" x 84"